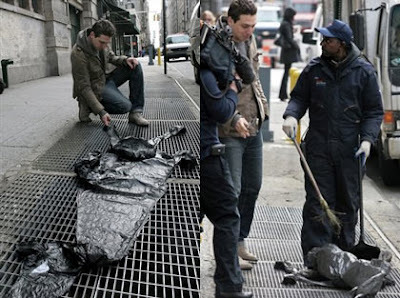 New York based artist Joshua Allen Harris creates quirky pieces of street art using plastic or refuse bags. 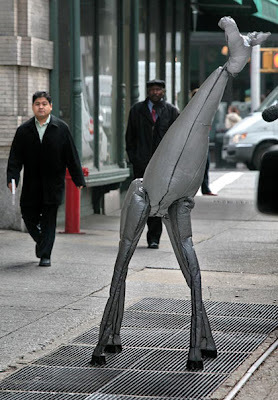 His inflatable sculptures are harnessed to street grids and take form when inflated with air from the subway. The beauty of his work is that the plastic lies dormant and just looks like trash on the street until a blast of air from a passing train brings it to life.